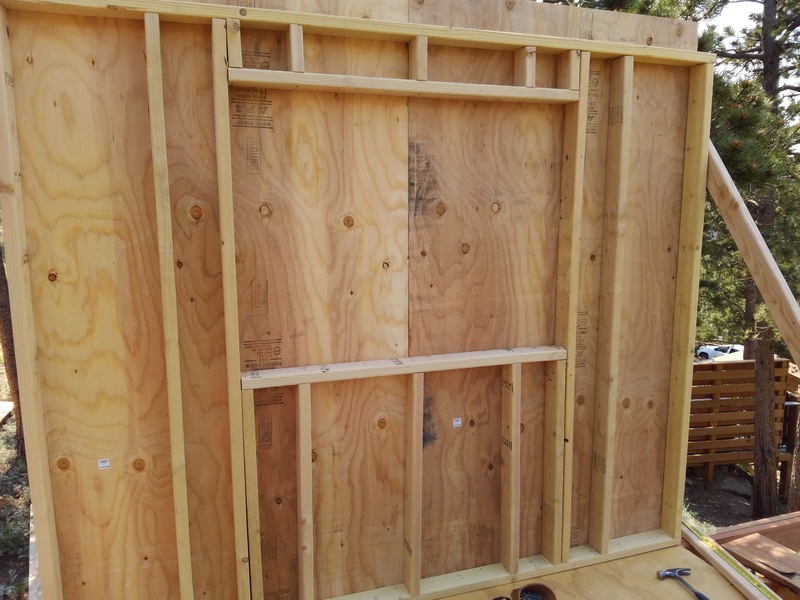 East wall is up! Window is framed and the sheathing will be cut out. Bracing is holding the wall in place.